The next few months I’m sewing along with Lynda Maynard. A bunch of other talented seamsters and I have joined up to learn how to fit using Lynda Maynard’s Sew the Perfect Fit class on Craftsy. Here’s a reflection on my efforts to sew well. This week’s lesson – the next to last, folks! – was all about “introducing a high, tight armhole into a woven garment and still having maximum movement”, otherwise known as adding a cut-on gusset. I paid careful attention during this lesson because I know I will be using Lynda’s method in the future. The armholes I made for my turquoise peplum were just too restrictive, and if I’m going to go through all the effort to fit this Vogue V8766 dress, I don’t want it to sit in my closet because it’s just not comfortable to move my arms in. Lynda says she teaches the cut-on gusset method in a lot of her college courses, so we know we’re getting a tried-and-true technique. She begins on the pattern, not on the muslin – in fact, the muslin never once enters into this video, and she makes some simple alterations to the bodice front, bodice back, and sleeves in order to raise the armhole. I won’t go into the details since I don’t want to give away her secrets! I will say that a curved fashion ruler similar to this one seems to be key to getting nice curves through her adjustments. And, I’ll also say that everything she does seems simple and straightforward, so it’s something I think all of you would easily be able to do! She does mention that sewing the new seams can be a bit tricky, but, unfortunately, I can’t say one way or the other myself right now. I was hoping to get around to trying the whole process this past week (since the pregnancy hasn’t made my arms change shape – at least I don’t think it has! ), but I ended up visiting friends for most of the week and wasn’t able to get to my sewing machine. The class finishes without showing the cut-on gusset sewn up, though I really wish we’d gotten to see what it should look like sewn up in fabric. Lynda does suggest that you should refit your muslin with the additional gusset so that you can make sure you’ve added just the right amount of fabric. Too much and you’ll get pooling even when your arm is raised! Next week is the last class in this series, and we’ll be truing up the pattern. I’m excited for any of you at this point with me, especially the ladies I’ve gotten to meet in Seattle during our fitting meet ups. I wish I were getting ready to cut into my fashion fabric. Maybe next summer?! As a reminder, I received this class for free from Craftsy in return for an honest review. 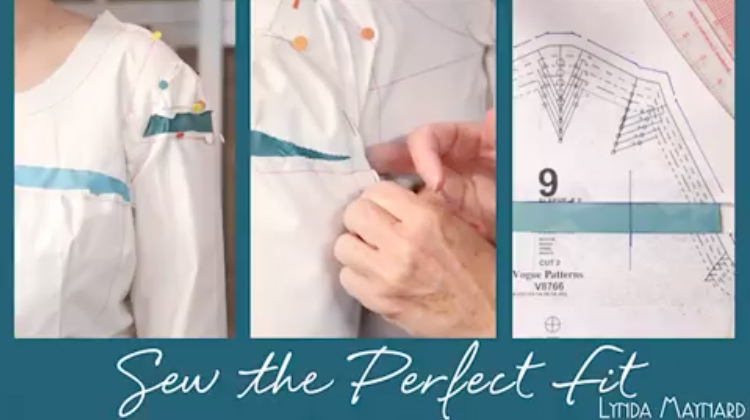 If you’re interested in taking this class yourself, follow this link for 40% off Lynda Maynard’s Sew the Perfect Fit. I need to look into this eventually. 🙂 That ruler is a decent one, but it will break fairly easy if dropped at all. I’m on my second one now and I have kept the packaging and return the ruler to it once I’m done with it. So far no more breakage! yep, me too. Cool, now I don’t feel so bad that I’ve been using mine in two separate parts, as a curve and a straight edge. You will be able to do it try it out the whole muslin soon enough.I am going to try the gussets with a newly assembled bodice over the weekend. I will probably post next week. Wish me luck. 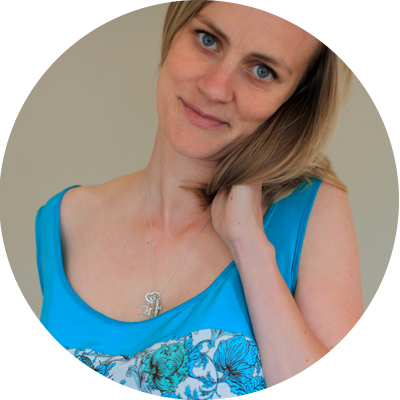 I noticed your comment about meeting with others in Seattle for a fitting session. How did you connect with them?? Or did your group plan to do this class together? Being able to identify members by location is one thing I miss having in Craftsy for just that reason. I would love to have someone to work with when fitting. I found that would have been really nice in Susan Khalje’s couture dress class. Hi Ramona! When I was beginning this class, I posted on my blog that I would really enjoy fitting with others in the Seattle area. Between the comments on that post and the emails I received, I was able to organize a couple of fitting sessions between local seamstresses also in the area taking the same class. It was pretty awesome, and all thanks to the blog. It would be great if Craftsy had an option to say “Looking for others within ## miles of ##### zipcode also taking this class” so that there could be more community around each of the classes. I wonder if they have a feedback and suggestion system on the site? Kudos to you on getting that organized. That is pretty awesome!